For some people, food is a hobby. This hobby often brings them to the local farmers market. Since foodie people are worth reaching with the truth about modern agriculture, we think it’s cool when agriculture community educators decide to meet them where they’re at. The Genesee County Farm Bureau thought so too. So they got their own farmers market display and installed it at a local market. According to a report from the USDA Agricultural Marketing Service, famers markets in the United States are getting more popular than ever. 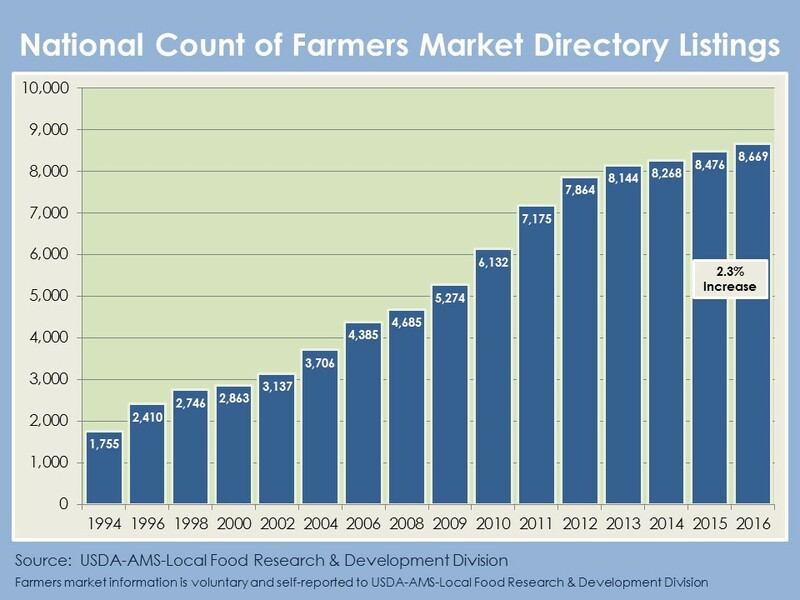 In 1994, there were only a little over 1,700 farmers markets around the U.S. 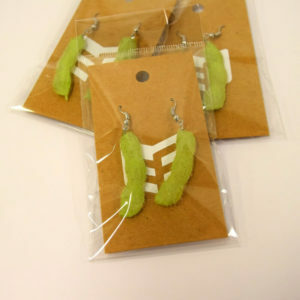 But today there are over 8,600 such markets in the country. Thanks to this increasing popularity of farmers markets, the agricultural community has another venue for meeting consumers. At farmers markets, farm bureaus and other community agricultural educators can connect with people who really love their food. With a farmers market presence, education groups can promote agricultural literacy alongside local farmers and share the truth about agriculture. 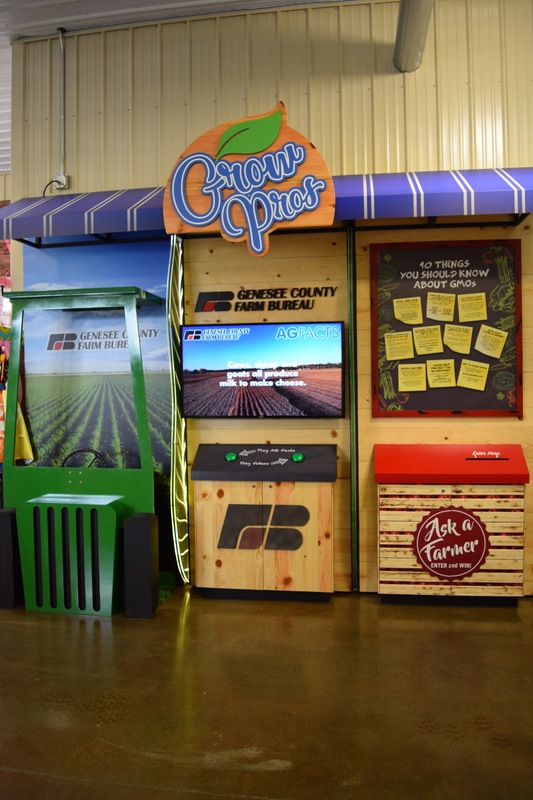 We created the perfect example of a farmers market display for the Genesee County Farm Bureau to use in the indoor Davison Farmers Market. 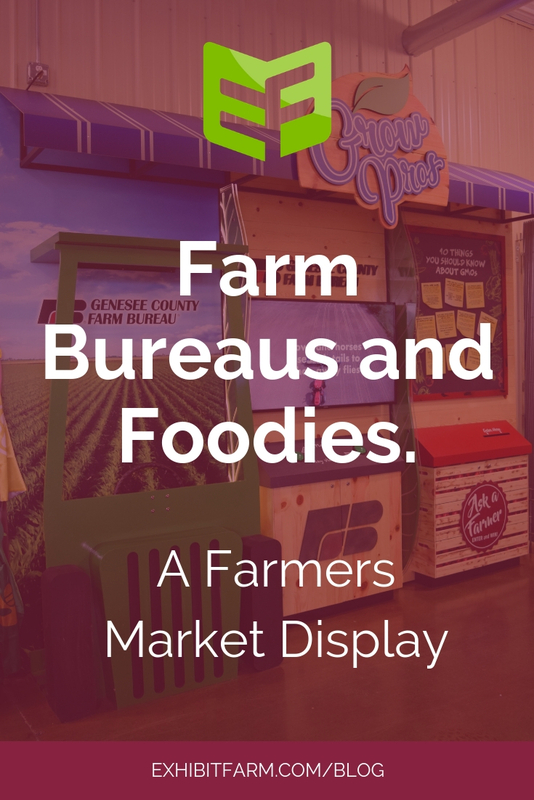 We designed this display specifically so that it could fit up against the wall of the farmers market facility. 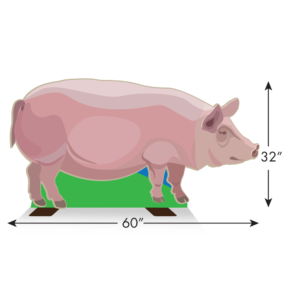 That way, it wouldn’t take up unnecessary space or inhibit traffic in the market. It consists of three elements, all connected under a simple awning-like structure. 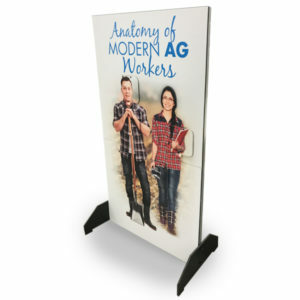 We designed one element to resemble a combine, and it sits apart from a large photo backdrop of a cornfield. Visitors can stand behind the wheel of the combine to have their picture taken in front of the rows of corn as if they’re working the machine. The second station consists of a TV monitor that plays educational footage about the state’s agriculture. Two large buttons control the monitor. Farmers market visitors can choose between an informational video from the Genesee County Farm Bureau or state agriculture facts. In the third station, a sign presents a number of concise factual tidbits about GMOs. Below the sign is a small booth with a slot. 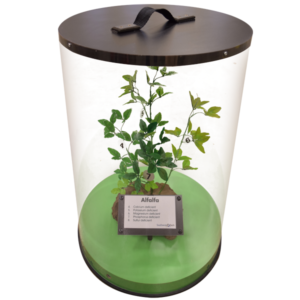 By writing a ag-related question on a piece of paper and inserting the paper into the slot, visitors can submit their concerned foodie questions to local farmers.